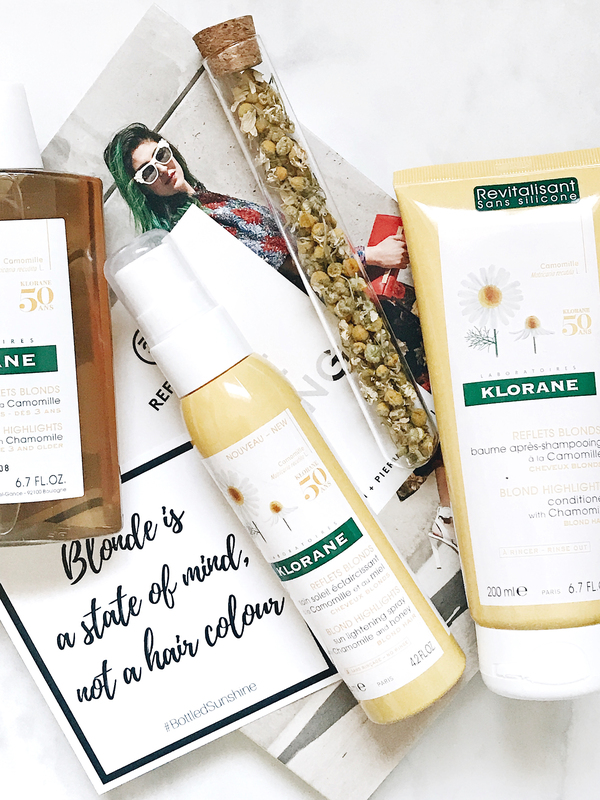 I have been feeling a little nostalgic lately while using the chamomile range of hair care products from Klorane. Perfect for summer, this range is completely natural and infused with chamomile extract. These products have very gentle formulas with the added bonus of hair lightening properties. Reminding you of anything? Sun-In or similar at home blonde hair recipes were a big hit while I was growing up and wanting blonder hair. This modern day take on the classic is much safer for your hair and as a blonde this year, I am all for it! The shampoo and conditioner were already part of the collection, but the Sun Lightening Spray that is the newest release and addition to this collection. Made with chamomile and honey and no bleaching agents, this is a gentle spray that helps lighten hair. It “injects the sunshine” into blond and light-brown hair, to create honey-blond highlights and shine. With repeated use, the results become a lot more noticeable. The scent of the entire range is very light and perfect for summer! You can use the spray in a variety of ways for different effects. This includes an all-over application, a tie-dye effect, or just a simple highlighted look. It all depends on how you want to lighten your hair and to what degree. I would start off small and give it a test to see what kind of results you are going to get before doing an all-over application. My roots grow in quite quickly, so I am using this with the focus on my roots to help lighten them naturally between salon visits, prolonging harsh chemicals from damaging my hair and scalp. Have you given any of Klorane’s products a try lately? 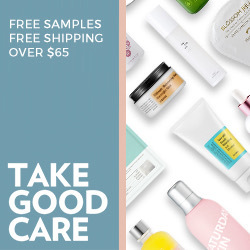 The natural and gentle side of this brand definitely is a winning point for me. Bonus, they threw in a bit of chamomile tea for me to enjoy for the complete package. Thank you Klorane for letting this blonde keep her hair light this summer!